Everyone wants to excel and make the top of the podium; however, nothing is worth a severely damaged boat, or worse, injured crew. Quantum's Alex Clegg outlines some racing safety basics you should be sure to make a priority at every event. Picture this: after hours of racing, eight boats head toward the finish line as the dying, northerly breeze converges with a slow-building southerly wind within hundreds of feet of the finish. 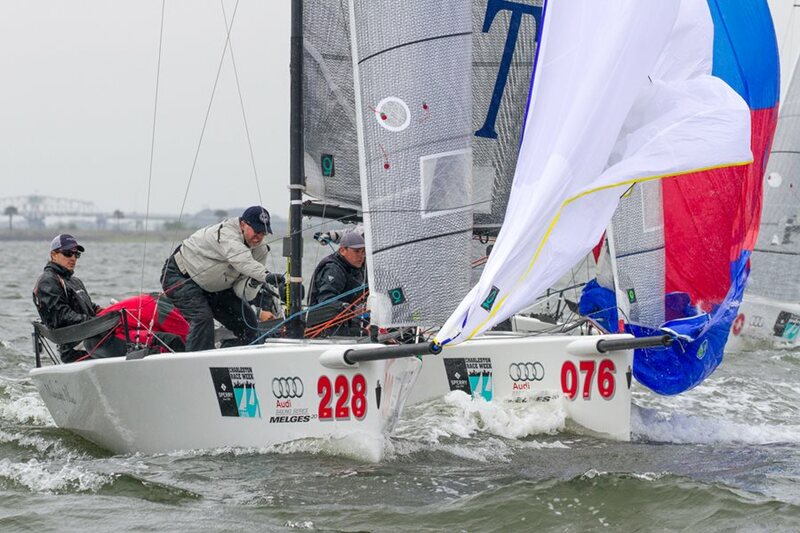 Crews of determined sailors abandon sailing rules – boats are not keeping clear, but those with the right-of-way aren’t working to avoid a collision either (or maybe they don’t have time to heed the rules). Within minutes you have a park-up, and carnage seems unavoidable. It shouldn’t. That’s exactly what happened earlier this summer at the 2016 Around-the-Island-Race as part of the NYYC Annual Regatta. Everything from S-boats to C&C 30s to Maxi 72s raced to the finish within an arm’s length of each other – all stacked up along a wall of rocks. It could have been a disastrous race for everyone. Fortunately it wasn’t, as several boats sacrificed the win in lieu of safety, but not everyone escaped damage-free. While finishes like this are not the norm, the 2016 Around-the-Island-Race is a great example of why you and your crew should review racing safety before every event. Look at the weather and decide what to do should the breeze come in too strong before you leave the dock: Look at the forecast. If you have a plan before you leave, you won’t have to decide in the heat of battle. Know where the safety equipment is located, including the man overboard modules (MOM), the cockpit knife, the First Aid kit, etc. Review all safety equipment with the crew – does everyone know how to use everything? Know the limits of your crew, boat, and sails: Will it handle well in big breeze? Does the rudder stall easily when ducking boats upwind? What’s the wind range on the big breeze sails? How will you gybe in 30 knots? Identify the decision makers: Who will make the tough calls if you end up in a dangerous situation – Skipper? Tactician? Boat owner? Once you identify the decision maker, own it. There’s plenty of time for hindsight at the dock. Be conservative: This isn't to say you shouldn't leave your heart on the course, but make an effort to err on the conservative side. Maybe duck earlier or allow the other boat a bit more time so you're not rounding the mark on top of them. Remember, even if you’re racing the America’s Cup or the Volvo Race, sailboat racing is for fun and entertainment. Of course we all want to do well, but it’s more important to keep your boat – and your crew! – in one piece.